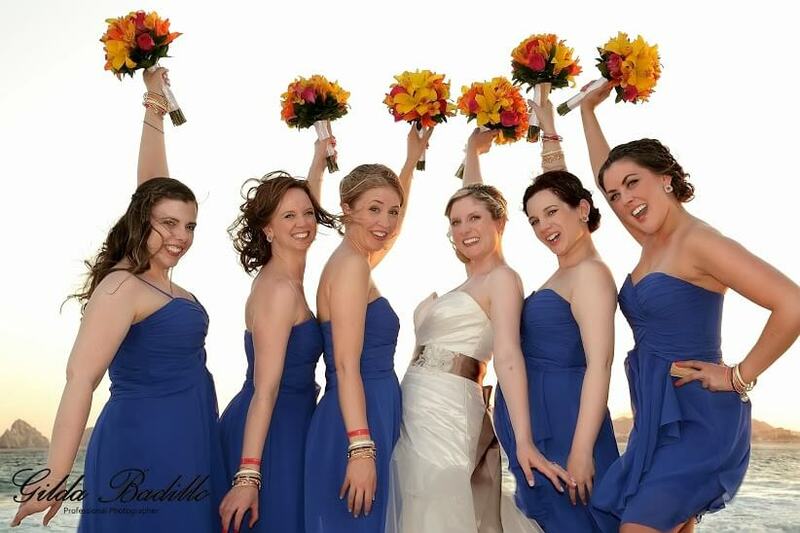 The RIU in Los Cabos is a great all-inclusive wedding venue where many of our destination brides choose to get married. 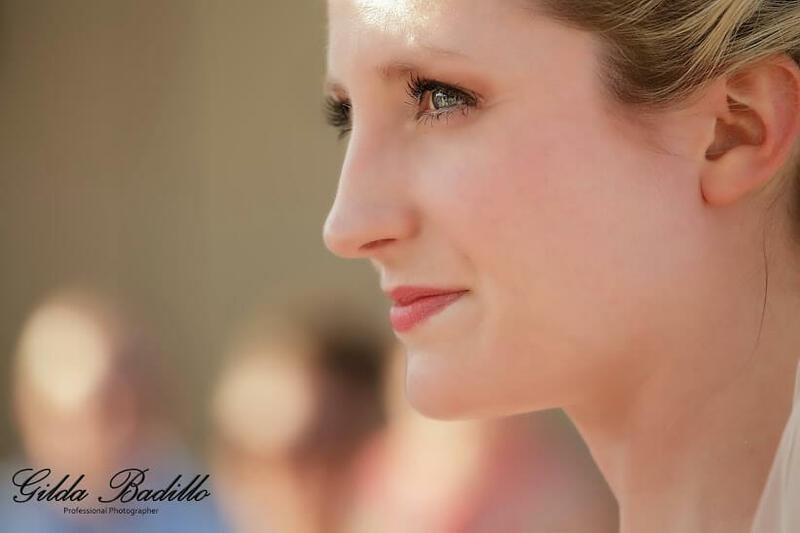 Beautiful Amy got married at the RIU this past May, and we were honored to give both her and two of her bridesmaids beautiful wedding hair and makeup looks for Amy’s big day. 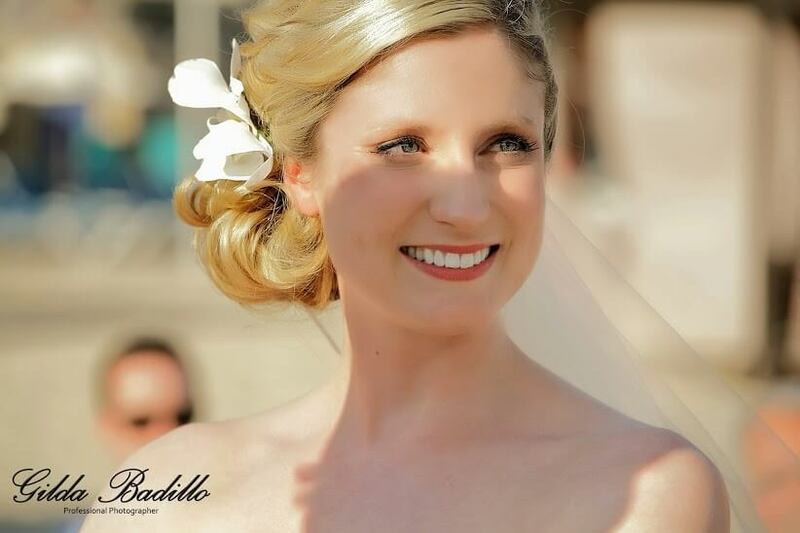 Since this bride is very fair-skinned, we kept her make-up light and natural, which is a good idea for almost all brides who are doing outdoor photos in Los Cabos. 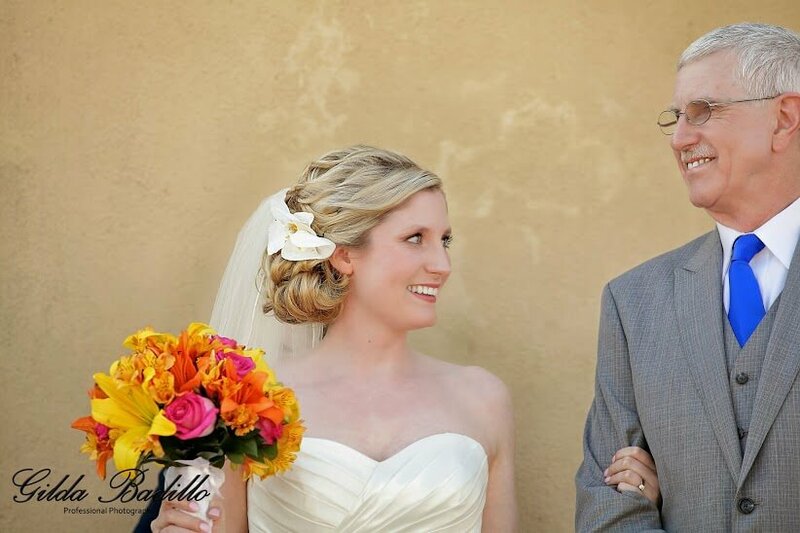 We kept the focus on Amy’s gorgeous smile with a pretty matte lip and just the right amount of definition in the lashes. Amy, your referral is the highest compliment we could ask for. 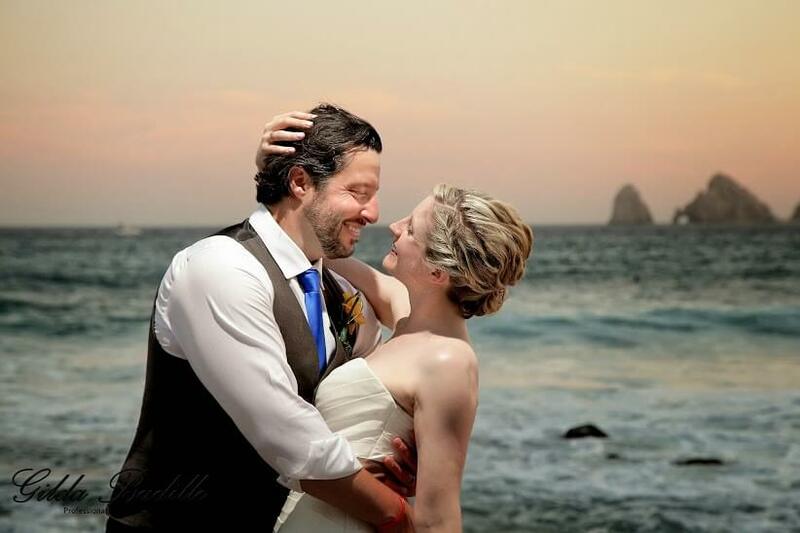 We wish you the best and hope to see you in Cabo again for a relaxing massage or anniversary look! 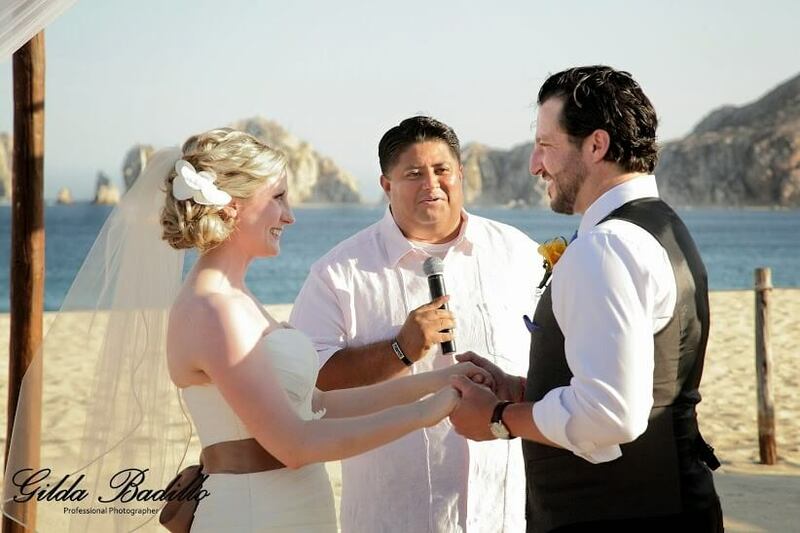 This entry was posted in Cabo Bridal Hair and Makeup and tagged best makeup salon in Cabo, Cabo bridal hair and makeup, Cabo bridal salon, Cabo hair and makeup, Cabo natural wedding makeup, Cabo wedding, Cabo wedding hair, Cabo wedding makeup, Cabo wedding updo, Gilda Badillo photography, real Cabo bride, RIU Cabo wedding, Suzanne Morel.